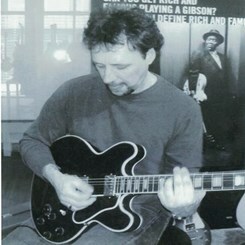 Guitarist and composer from Nazareth PA, home of the Martin Guitar Company. Don has made a living playing and teaching all styles of music for 30 years. He has studied with Legendary Guitarist Pat Martino, as well as performed and toured with may famous artists. He even recorded his own LP entitled "Alone." No matter what the genre you want to learn; Rock, Country, Blues, R&B, or Jazz, Don WILL get you on your way and where you want to be. Don has experience with any stringed instrument including; Guitar, Bass Guitar, Mandolin, Ukulele, and Banjo. Request Lessons with Donald today!